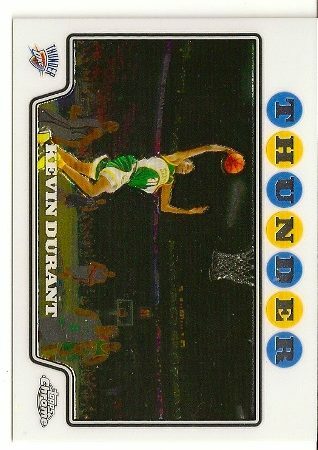 Kevin Durant 2008-09 Topps Chrome Basketball Card. Seattle Supersonics, Golden State Warriors. 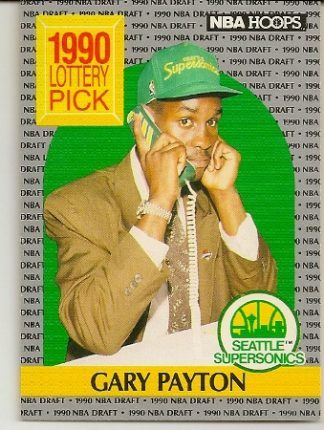 1991-92 Upper Deck Gary Payton Basketball Card. 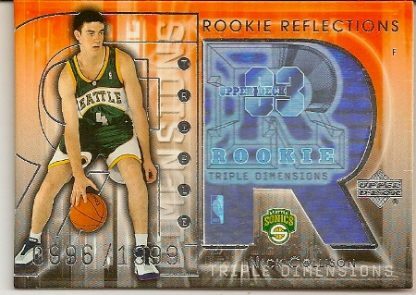 Seattle Supersonics. 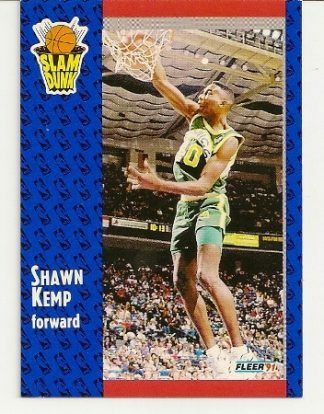 1992-93 Upper Deck McDonald’s Shawn Kemp basketball card. Seattle Supersonics. 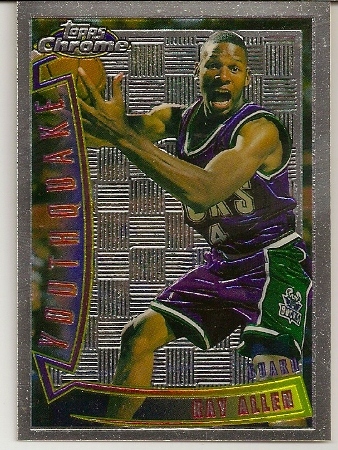 1996-97 Topps Chrome Youthquake Ray Allen Rookie Card. 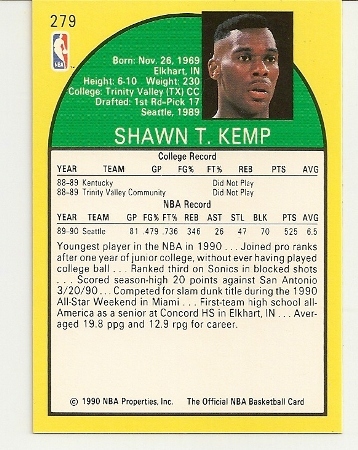 Milwaukee Bucks, Seattle Supersonics, Boston Celtics. 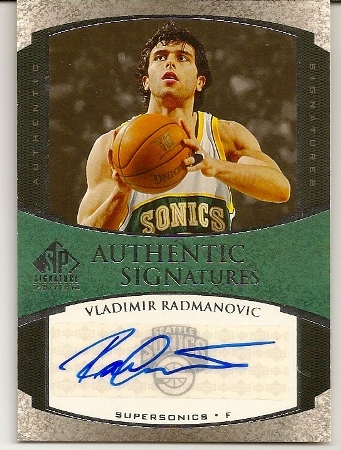 2005-06 Upper Deck SP Signatures Vladimir Radmanovic Autograph Basketball Card. 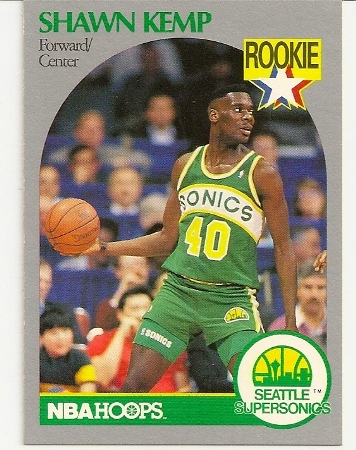 Seattle Supersonics, Houston Rockets. 2003-04 Triple Dimensions Rookie Reflections Nick Collison Basketball Rookie Card. 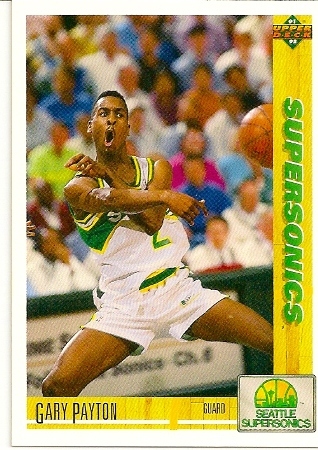 Seattle Supersonics, Oklahoma City Thunder. 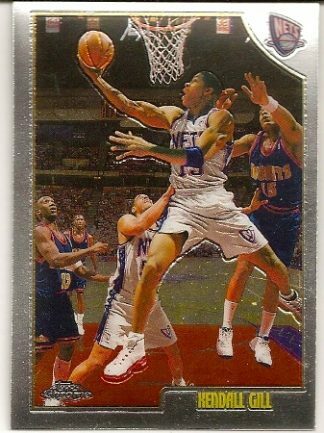 1998-99 Topps Chrome Kendall Gill Basketball Card. New Jersey Nets, Seattle Supersonics. 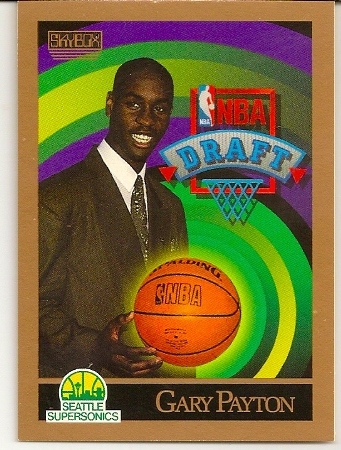 1990-91 Skybox Gary Payton Rookie Basketball Card. Seattle Supersonics. 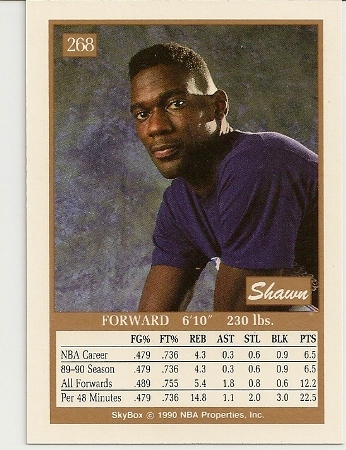 1990-91 Hoops Gary Payton Rookie Basketball Card. Seattle Supersonics. 2003-04 Topps Pristine Refractor Luke Ridnour Rookie Card Numbered To 1,999 Produced. 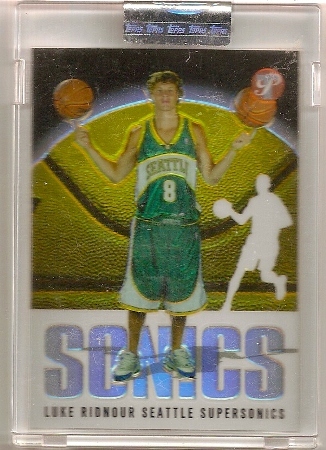 Seattle Supersonics. 2005-06 Topps Chrome Refractor Vladimir Radmanovic Card Serial Numbered To 999. 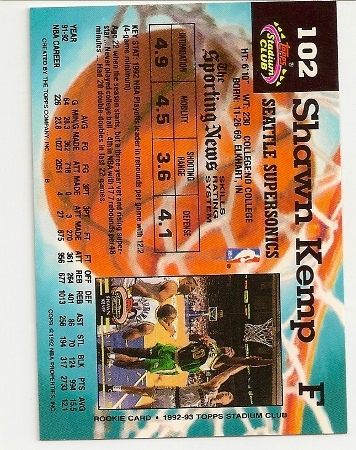 Seattle Supersonics, Golden State Warriors. 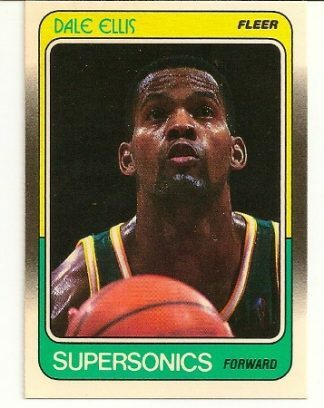 1988-89 Fleer Dale Ellis Basketball Card. 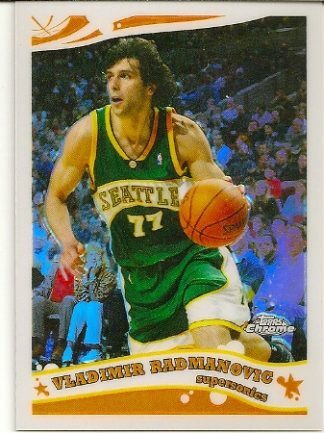 Seattle Supersonics. 1991-92 Fleer Slam Dunk Shawn Kemp Basketball Card. 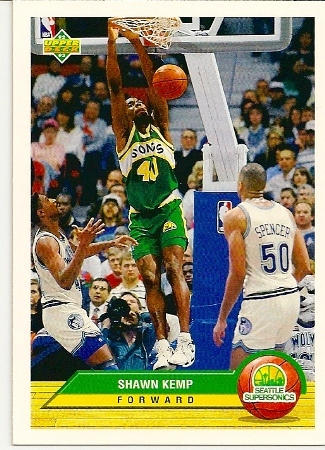 Seattle Supersonics. 1990-91 Hoops Shawn Kemp Rookie Card. 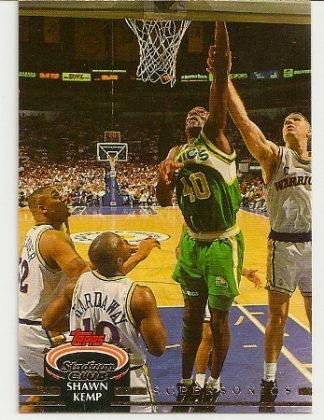 Seattle Supersonics. 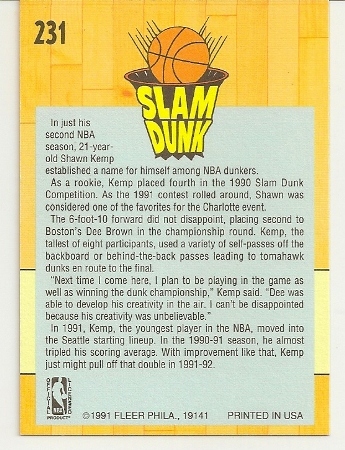 1990-91 Skybox Shawn Kemp Rookie Card. 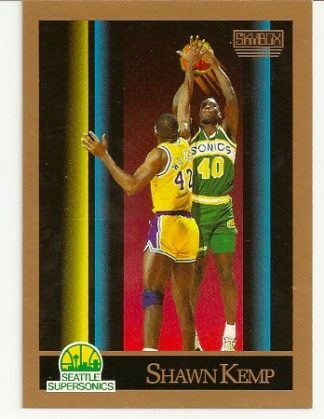 Seattle Supersonics.